Food like little else evokes some of the strongest and fondest of memories. 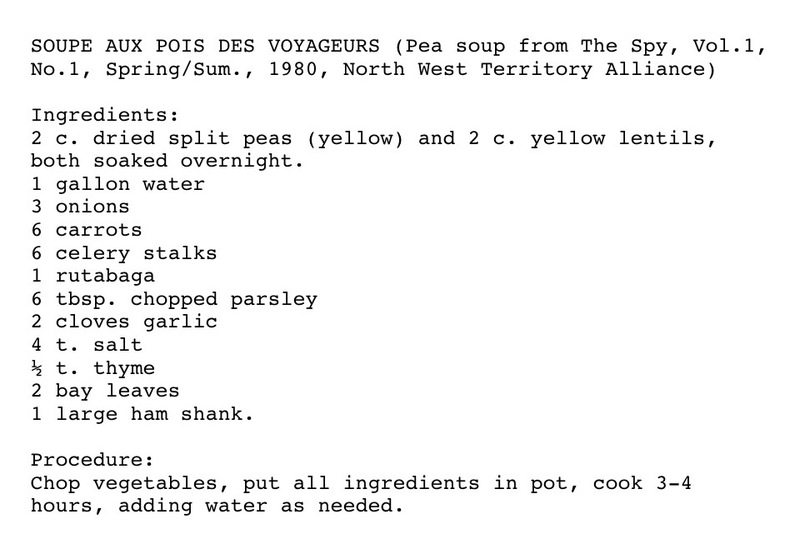 Traditional French Canadian fare is no different. 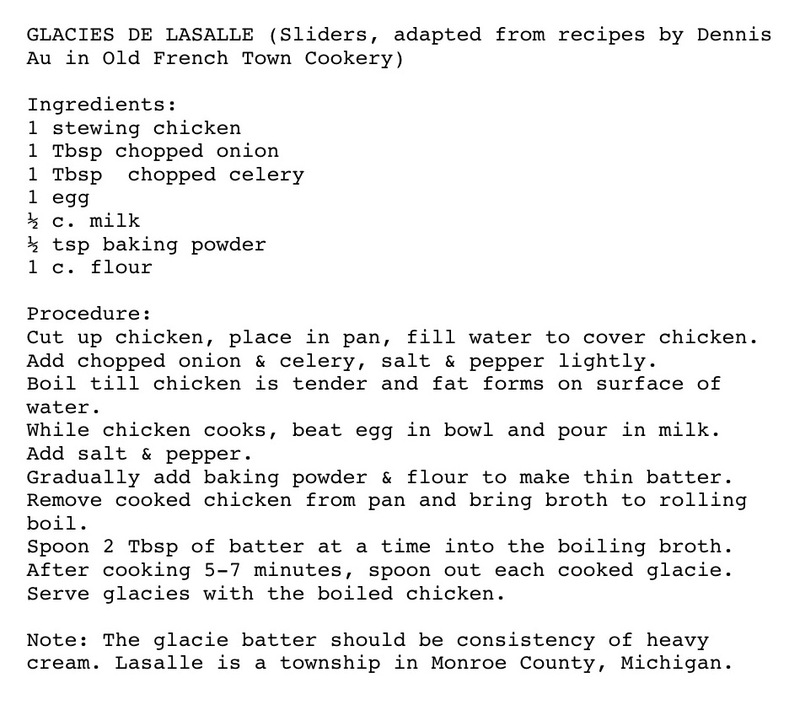 Here you will find a collection of recipes from the Great Lakes area, and a few from Francophone regions around North America. 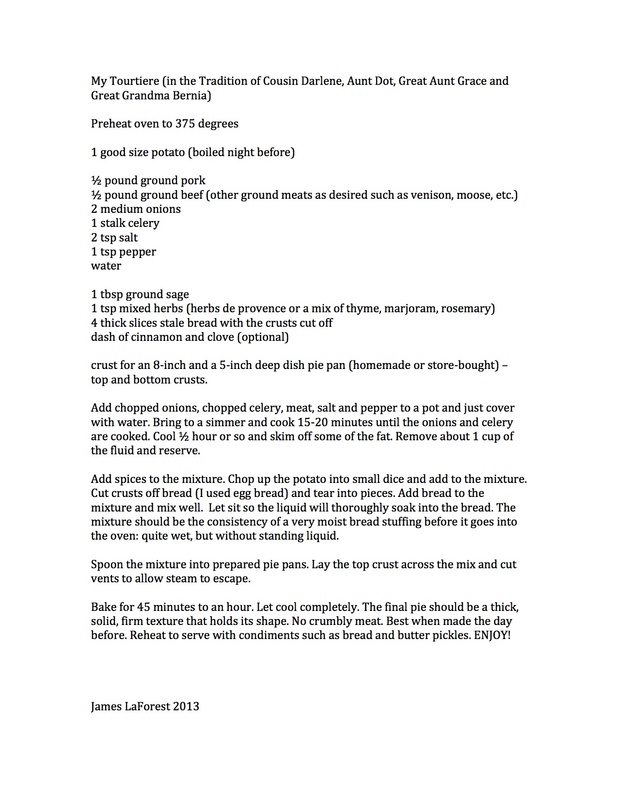 To contribute your own, contact the blog editor via the comments section or by writing James at jela1966@hotmail.com. 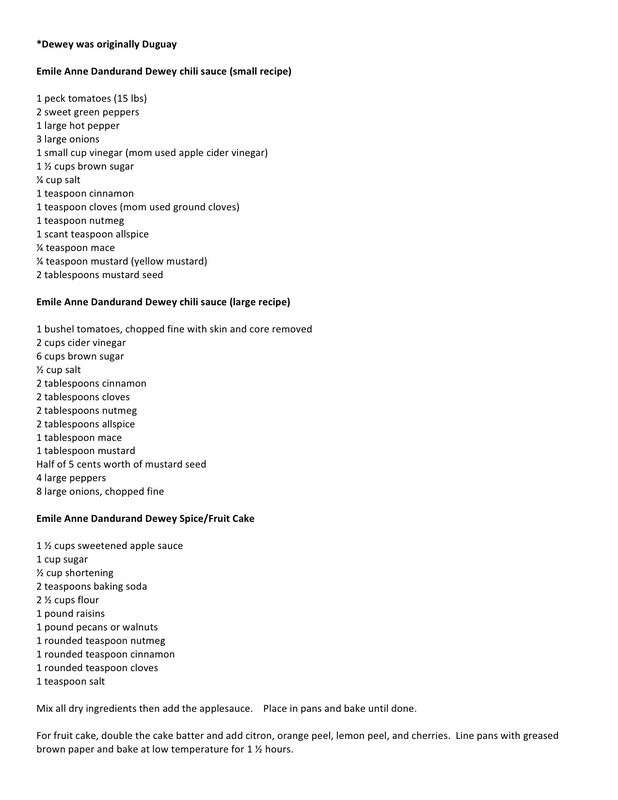 Below the slideshow, the recipes are available as stills in JPG and PDF format. 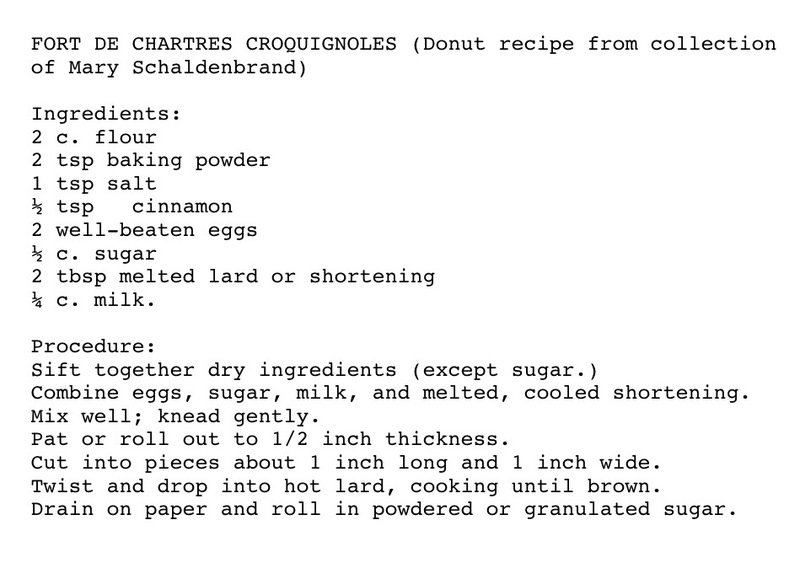 At the end of the list you will find links to producers of excellent Quebecois foods. 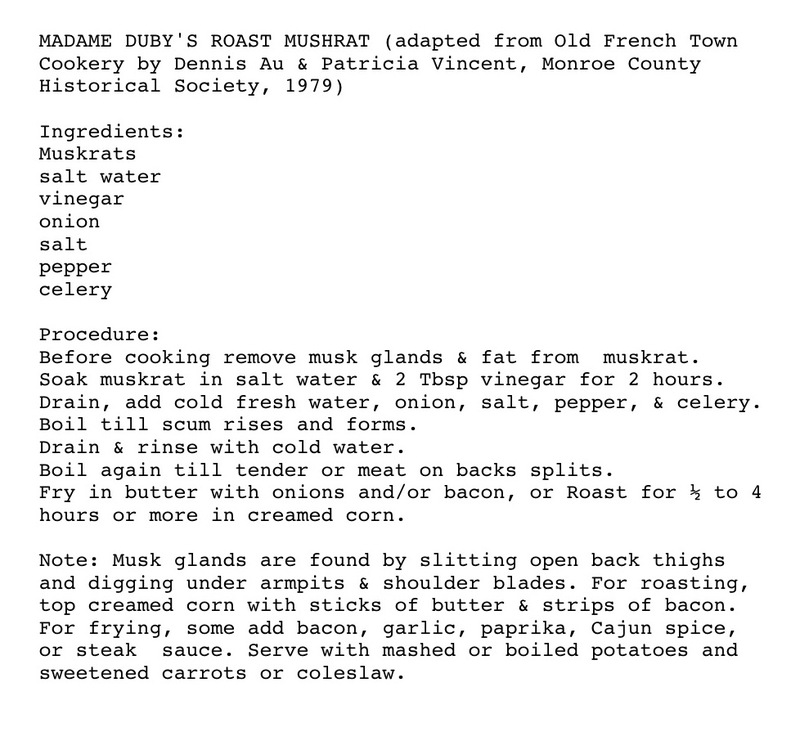 Repast: Quarterly Publication of the Culinary Historians of Ann Arbor has published two issues in honor of the 350th anniversary of the French presence in Michigan and the greater Great Lakes region. With permission of the editor of Repast, they are included here. 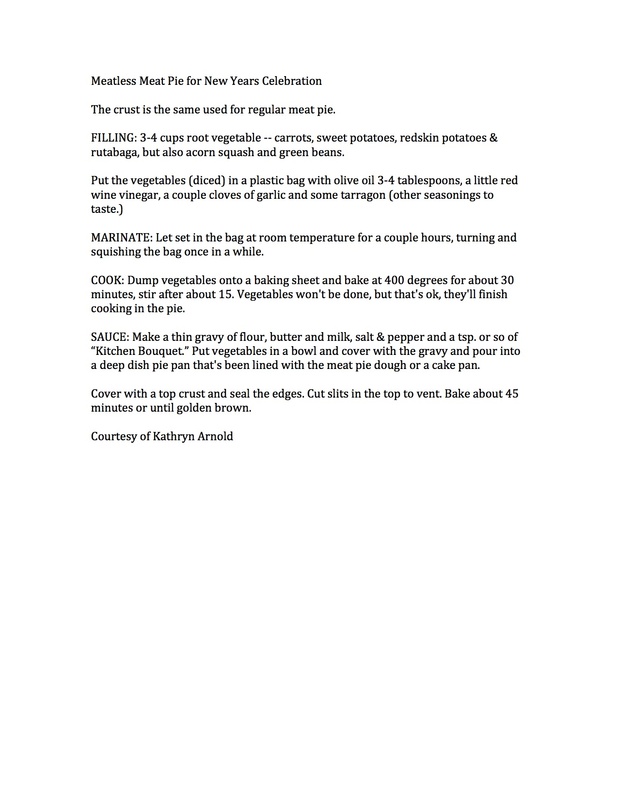 Click on the images for PDFs. 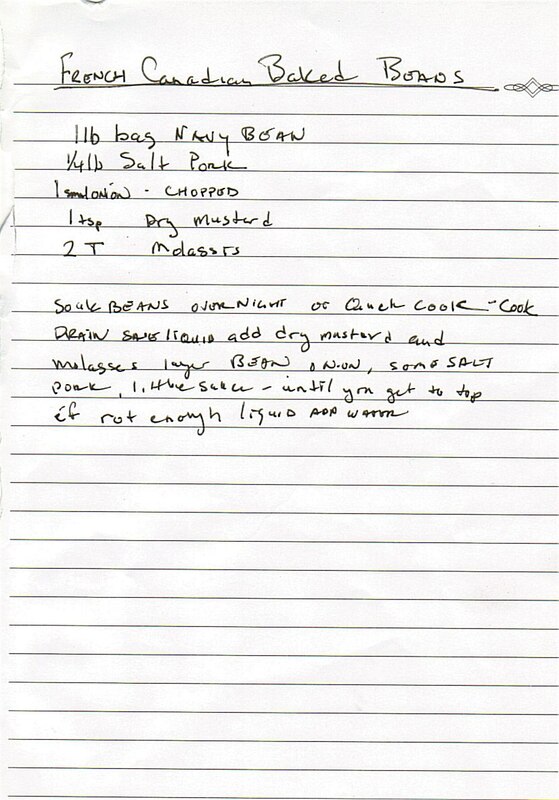 This set of four recipes are the “Mary Blanche Corrine (Peltier) Bernia Collection.” Mary (born in 1883) was the only child of James Peltier, a member of the Peltier family of old French Detroit and Roselba Monarque, a family who had emigrated to Ontario from Quebec around the time of the Patriote Rebellion. 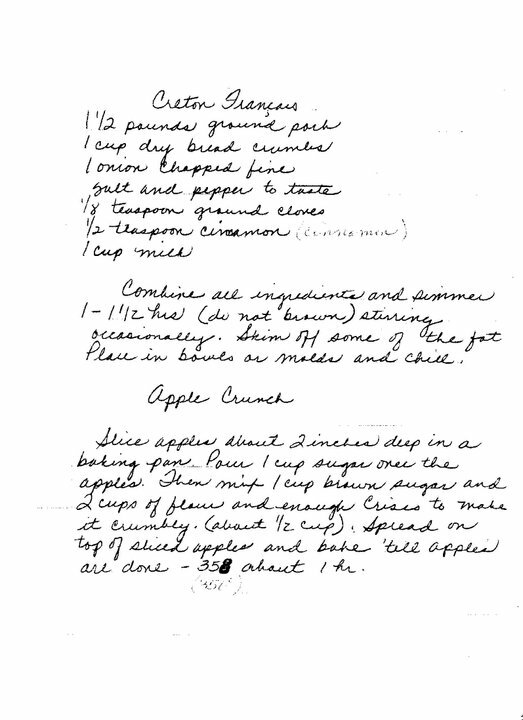 These recipes were preserved by her daughters and come to the collection through two of her granddaughters, two great-granddaughters, and a great-great granddaughter. 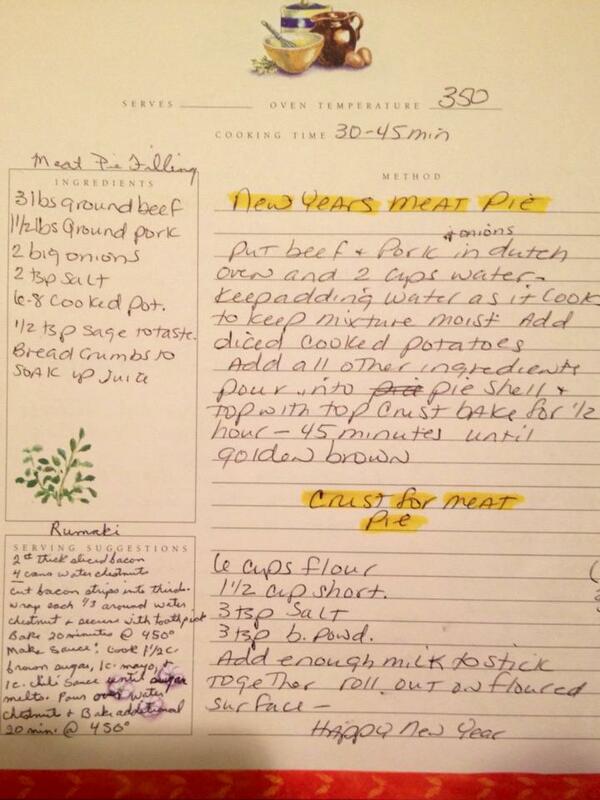 New Year’s Meat Pie. 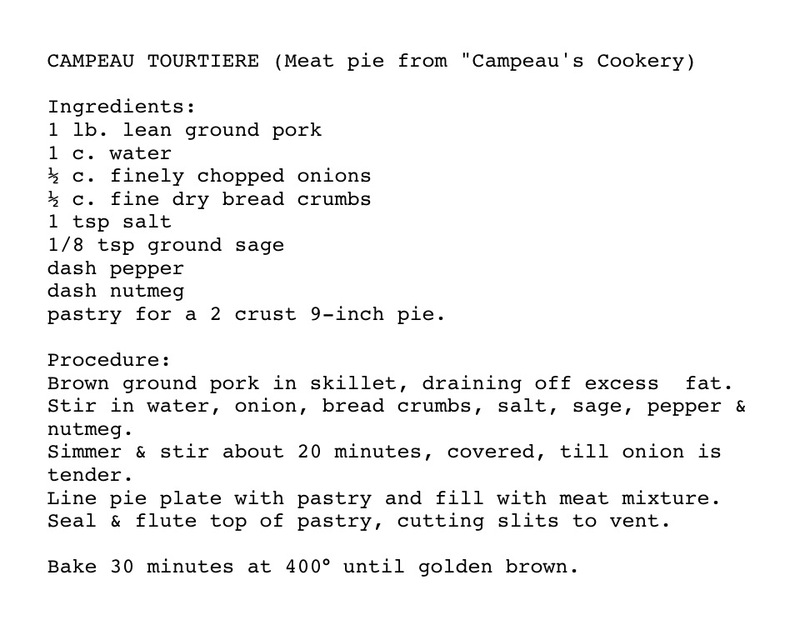 Traditional family recipe for tourtiere or ‘meat pie’ made in Northern Michigan – courtesy of Dottie (LaForest) Dunsmore. New Year’s Meat Pie. 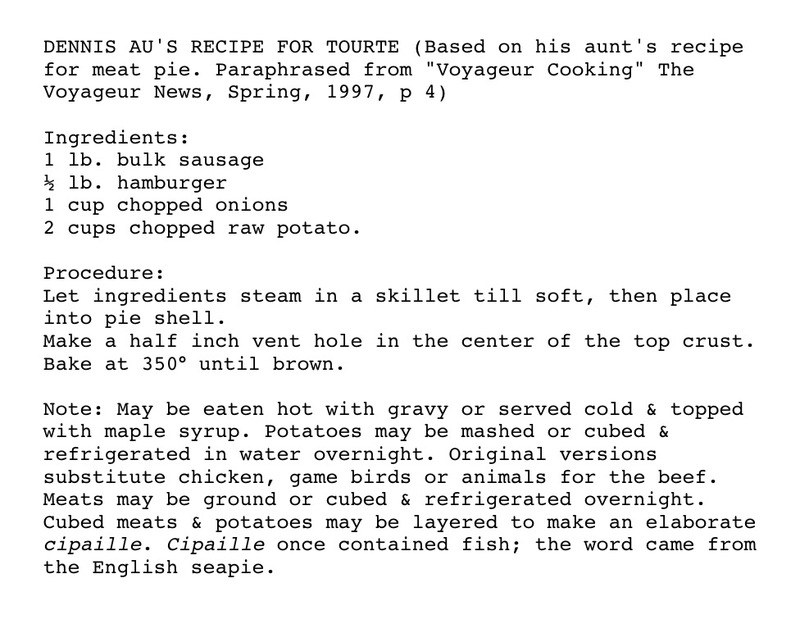 Traditional family recipe for tourtiere or ‘meat pie’ made in Northern Michigan – courtesy of Mary (Veihl) Arnold and Sandra Jeanne Butler. New Year’s Meat Pie. 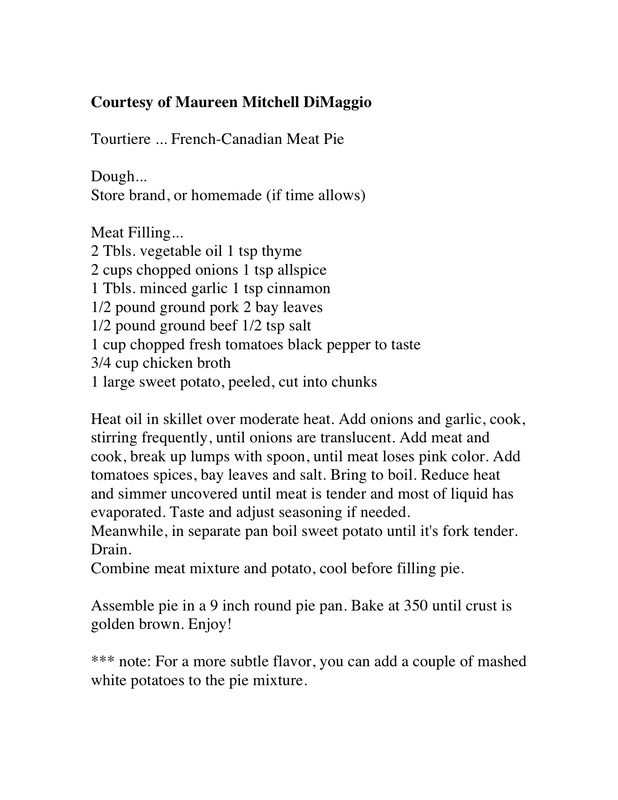 Traditional family recipe for tourtiere or ‘meat pie’ made in Northern Michigan – courtesy of Darlene (Dunsmore) Kennedy. 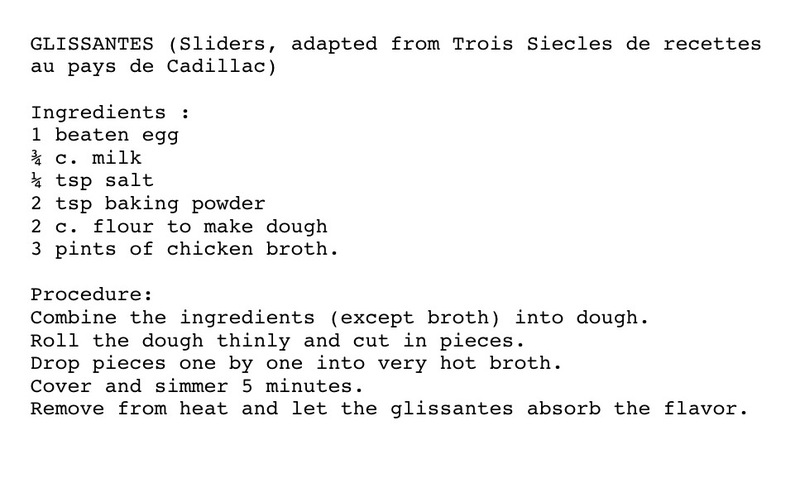 Robert Blais has contributed this collection of Quebecois recipes handed down from his grandmother Rosa Roy-Blais and his mother Catherine Blais. Creton Français; Apple Crunch. Courtesy of Robert Blais. 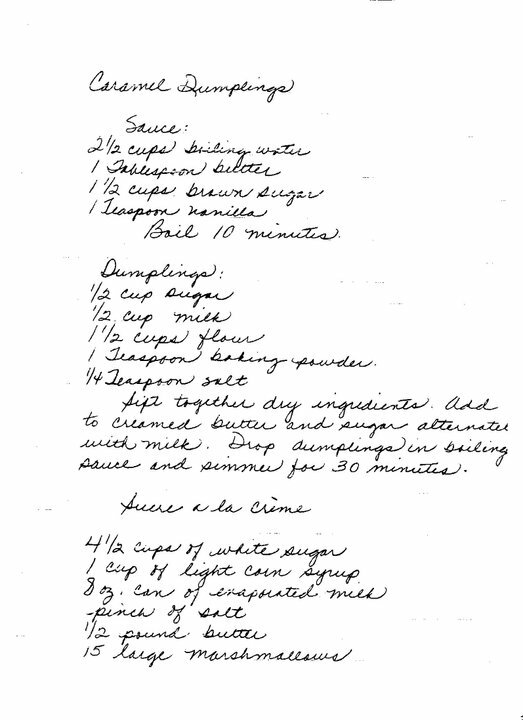 Caramel Dumplings; Sucre a la Crème (part 1). Courtesy of Robert Blais. 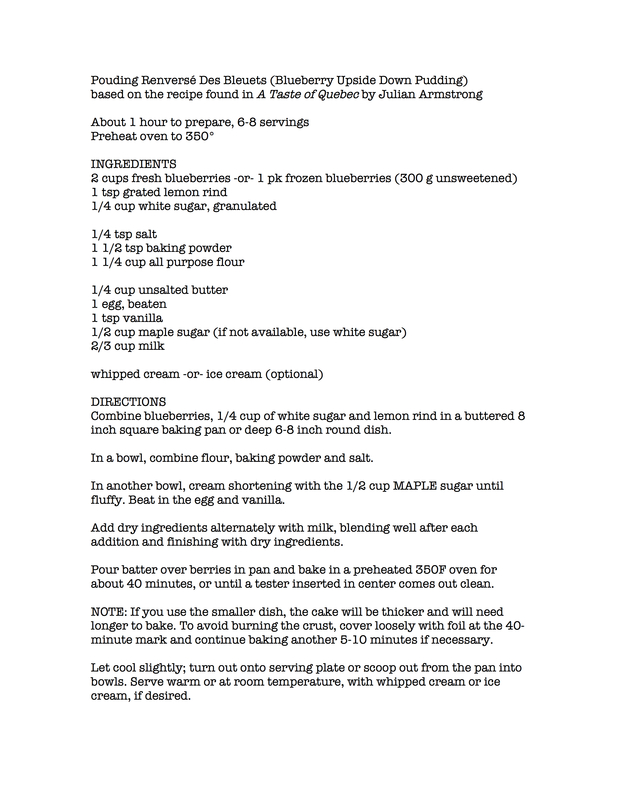 Sucre a la Crème (part 2); French Crêpes. Courtesy of Robert Blais. French Canadian Baked Beans. Courtesy of Robert Blais. 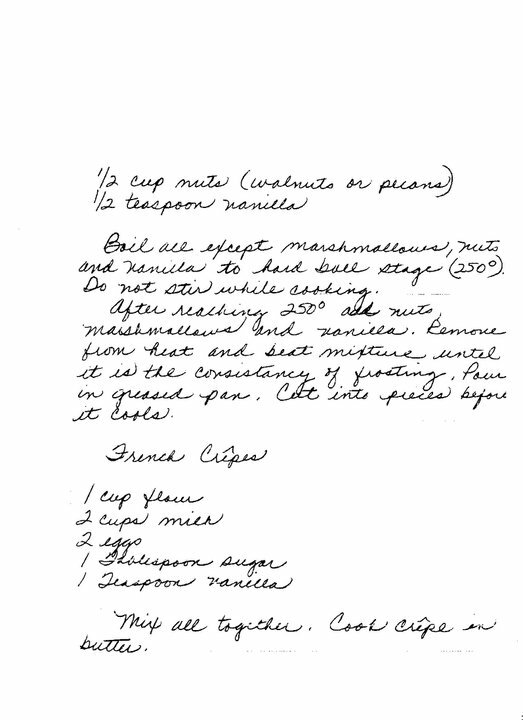 Sue Palmer contributed the following recipes which were found in old family cookbooks. 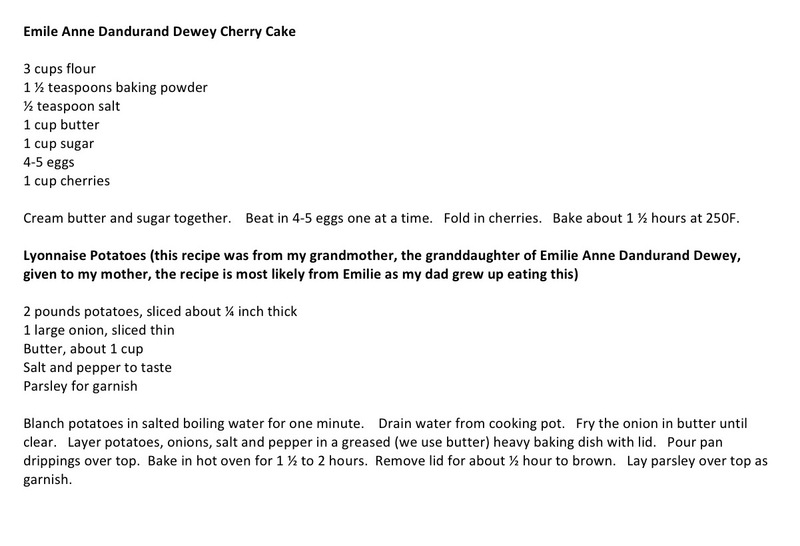 They were kept by her Great-Great Grandmother Emilie Anne Dandurand Dewey (Duguay) and passed down through the family. Courtesy of Maureen Mitchell DiMaggio. 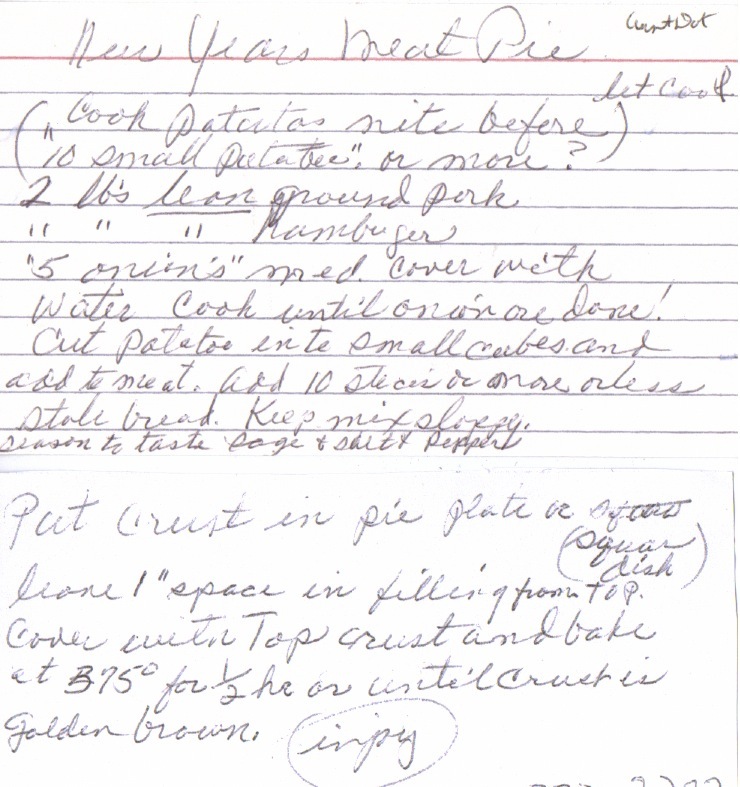 The following list contains recipes collected as part of a Founder’s Day dinner in Monroe, Michigan in 2007. Included are dishes traditional to the Michigan area. 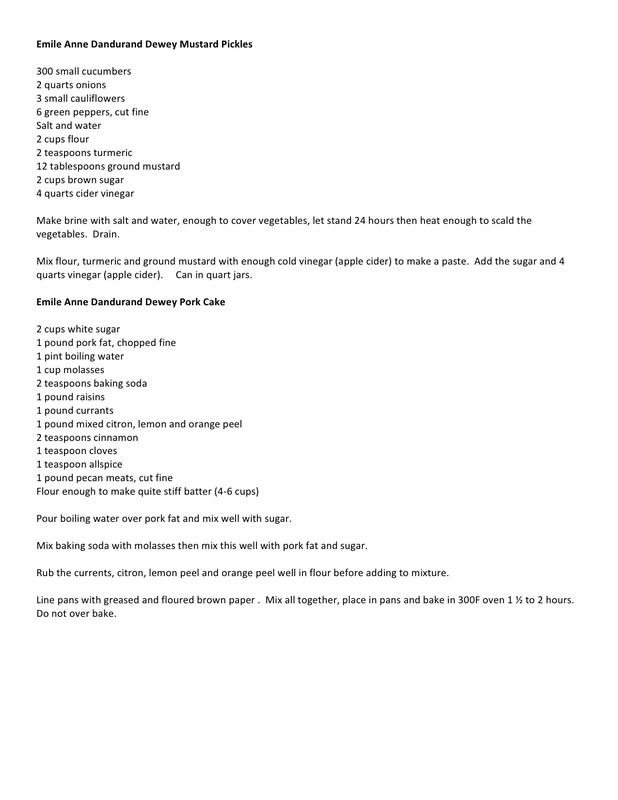 These recipes are included here with the permission of Dennis Au and my thanks go out to Mr. Au, Ray Dushane, Ralph Naveaux, Patricia Vincent, and Dawn Evoe-Danowski. 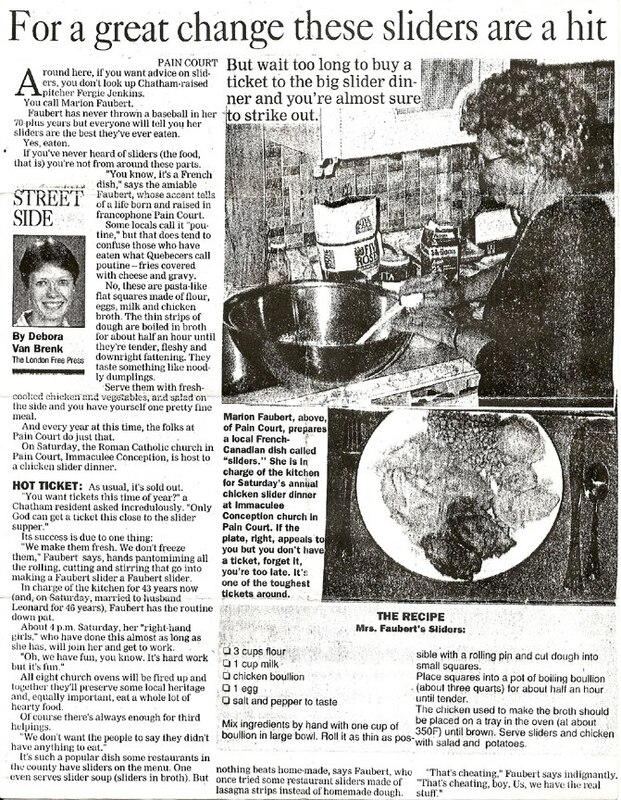 Mrs. Faubert’s Sliders, Recipe for sliders or ‘glissants’ originating in Pain Court, Ontario, as it appeared in the London (Ontario) Free Press.